John Morton was the first signer of the Declaration of Independence to die. Morton's notoriety in American history has been severely impacted because he died so early in the Revolutionary War. 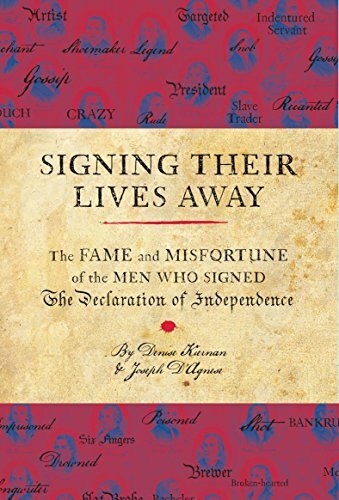 He also signed two of the other major Founding Documents during the early stages of the American Revolution. John Morton learned the trade of surveyor from his stepfather. This was perhaps the best career path for a middle class man to earn his way into the ranks of the elite (see: George Washington). Morton, for his part, worked hard to advance his position in life. He was elected to the Pennsylvania Provincial Assembly and received appointment as a Justice of the Peace before his 33rd birthday. John's time in public service taught him well and when the call went out to meet in New York for the Stamp Act Congress he was chosen as a delegate. After signing the Declaration of Rights and Grievances, Morton returned home to become Sheriff of Chester County. A decade later, John's career really took off. By 1774, Morton was appointed to both the Supreme Court of Pennsylvania and the First Continental Congress. With the Congress he signed the Continental Association, the first major Founding Document of the American Revolution. The following year he added Speaker of the Pennsylvania Assembly to his resume as well as returning for the Second Continental Congress. When the time arrived to vote for independence, the representatives for Pennsylvania were split. Benjamin Franklin and James Wilson were in favor while Robert Morris, John Dickinson, Thomas Willing and Charles Humphreys were against. Morton was for independence, that is, but his constituents were not. Was it his responsibility to vote how his community wanted him to? Or did they choose him to make the most informed decision he could regardless of popular sentiment? In many ways, this debate is still alive today. As for Morton, he would be ostracized by the community he lived in. Despite the ire of his neighbors, independence was had, and they kept him in the Continental Congress to continue his work. The most notable part of this work was as chairman of the committee which drafted the Articles of Confederation. He would not see this new government come into effect, however, as he passed away in the spring of the following year. “Tell them they shall live to see the hour when they shall acknowledge it to have been the most glorious service I ever rendered to my country." It is interesting to reflect on the position Morton found himself in and the lasting effect his decision had on the world. It helps to understand the goings-on of Revolutionary America when we look at how seriously independence was considered. I hope you seriously consider subscribing to our email list if you have not yet. We send out a new article every day...with no wasteful advertising. Give it a try!